CNN’s iReport posted that Greg Taylor of Mandeville, Louisiana sent his family to Alabama to avoid Hurricane Isaac and after they left, he went back to feed the family fish. 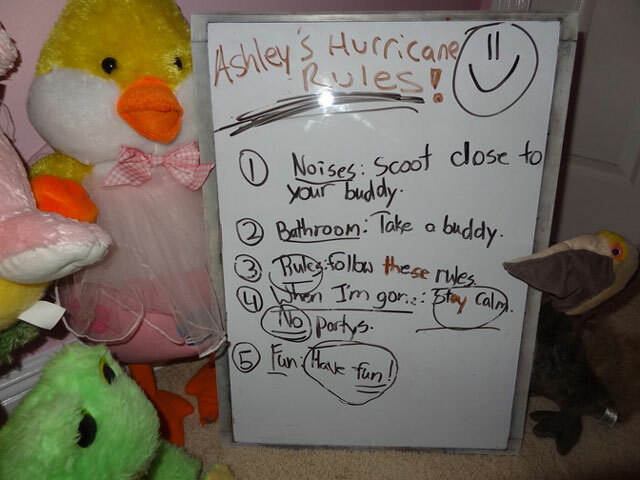 It was then he found that his 8 year old daughter Ashley had left a whiteboard of explicit safety rules for her stuffed animals. The list includes a “Have Fun!” rule.